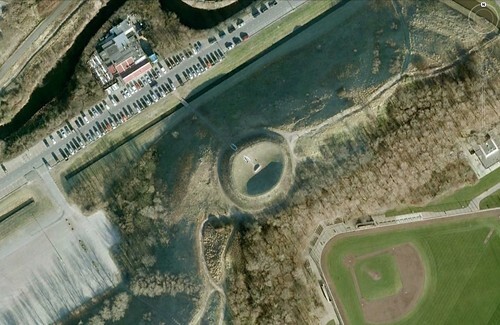 February 2011 – Where On Google Earth? 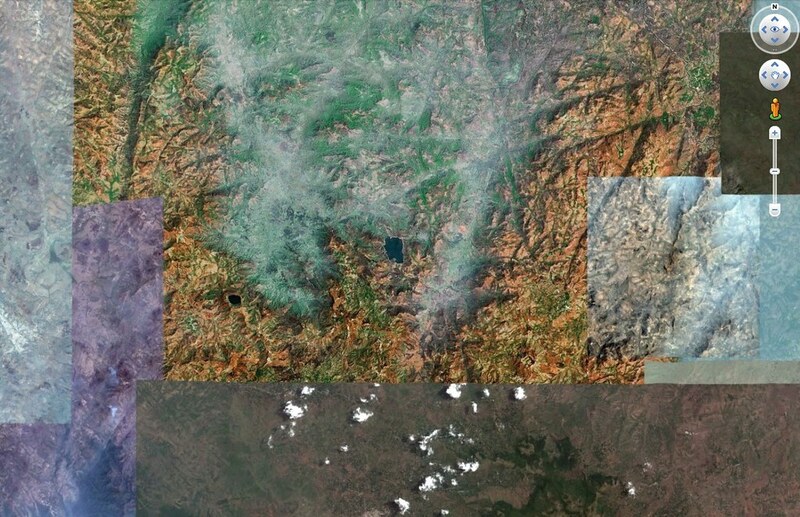 As always: you can click the picture for a larger version. 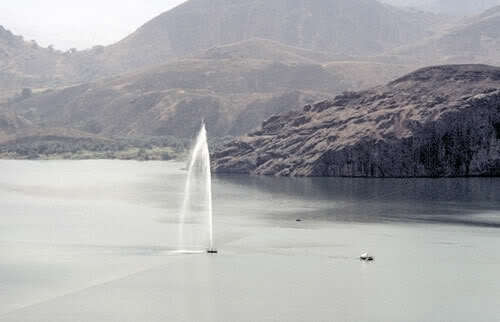 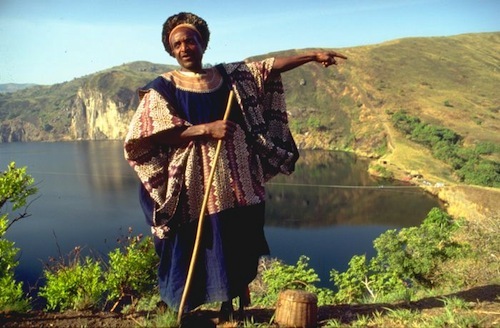 Lake Nyos is a crater lake in Cameroon, Africa. 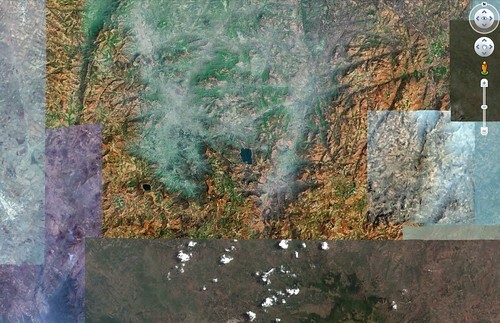 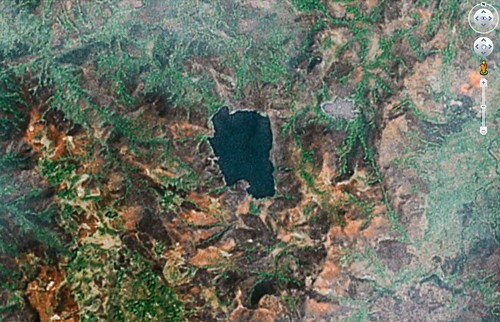 The volcano still leaks Carbon Dioxide (CO2) and in 1986 the saturated CO2 was suddenly released by the water, killing 1700 people (and 3500 livestock) in villages surrounding the lake. 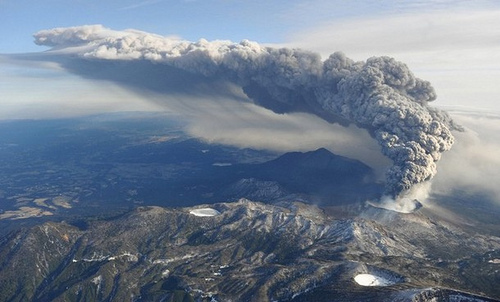 Once a moviestar, now a devastating outburst of lava: mount Shinmoedake in the Kirishima volcano region, Japan. 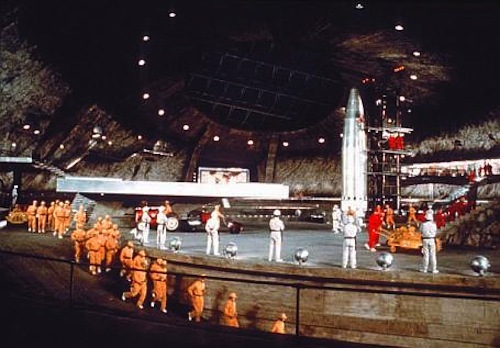 The Shinmoedake volcano played a role in the 1967 James Bond movie ‘You Only Live Twice‘ as a rocket base. 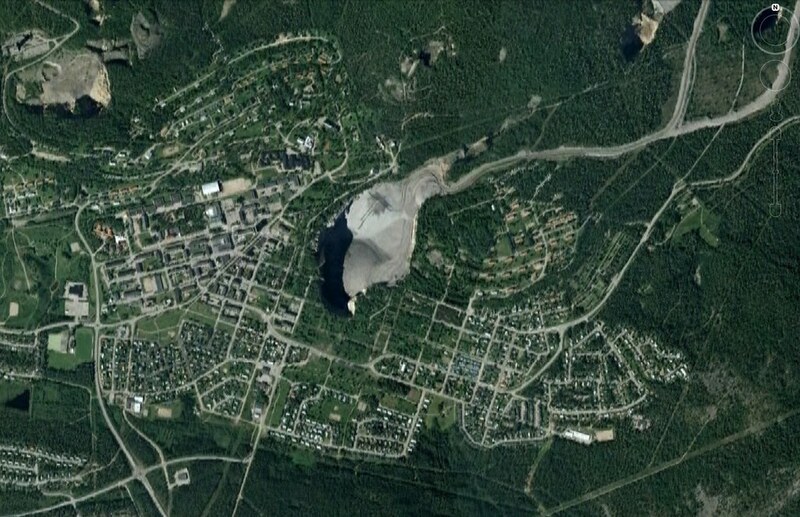 It erupted heavily on 28 January this year, with a severe outburst on February 1st, which shattered the windows of the houses up to 5 miles away. 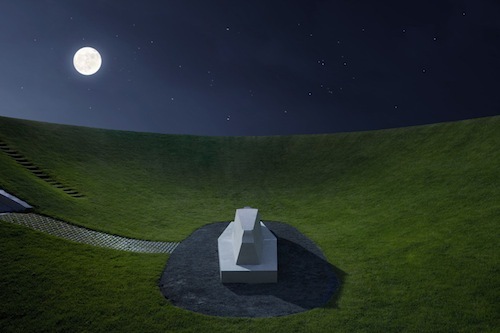 This is another land art piece of James Turrell. 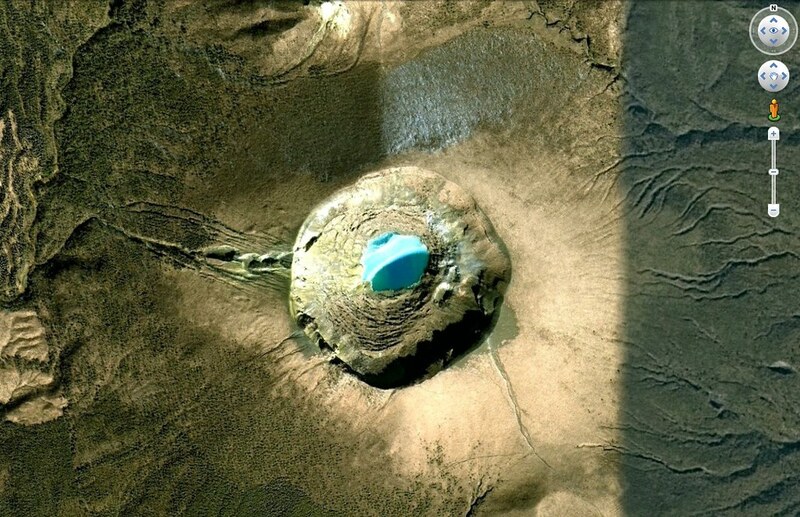 It is not well known and a lot smaller than his Roden Crater project. It is called ‘Hemels Gewelf‘ (Celestial Vault) and was constructed in 1996. 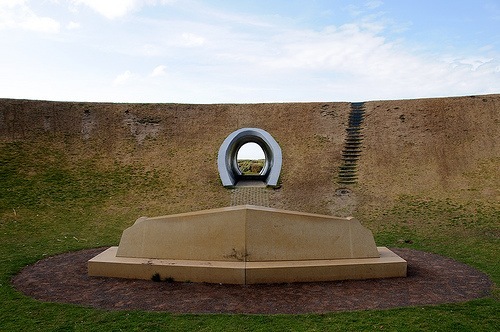 It lies in the sand dunes of The Hague and is open to the public. Kudos to who found it without the hint, because I thought this would be a very difficult one.